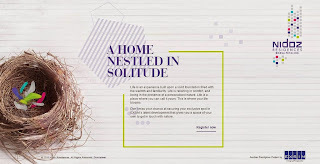 Nidoz Residences at Desa Petaling, a home nestled in solitude. Life is an experience built upon a solid foundation filled with the warmth and familiarity. Life is relishing in comfort, and being in the presence of a personalised nature. Life is a place where you can call it yours. This is where your life blooms. Don’t miss your chance at securing your exclusive spot in EXSIM’s latest development that gives you a space of your own to get in touch with nature.